24/11/2015 – WCA & COTA-DL pedition of DL5DXS/P to Schloss Spreewiese! – Steffen DL5DXS will be active on the 24th of November 2015 from Schloss Spreewiese, WCA: DL-04445, COTA-DL: SAX-264. He plans to work as DL5DXS/P from 08:30 UTC on 40 and 20 meters CW/SSB. QSL via Home Call. 73 & 11! [tnx info DL5DXS]. 23/11/2015 – New members of WCAG! # 156, SP2UUU Christopher Ulatowski. 22/11/2015 – WCA & BCA pedition of ON7ZC/P and ON4BZ/P to Chateau Bivort! – Pierre ON7ZC and Michel ON4BZ will be active on the 22th of November 2015 from Chateau Bivort, WCA: ON-00464, BCA: HT-107. They plan to work as ON7ZC/P and ON4BZ/P from 08:00 to 13:00 UTC on 7.131 and 14.251 only SSB. For more information please visit on ON7ZC – QRZ.COM. 73 . 17/11/2015 – WCA & COTA-DL pedition of DL5DXS/P to Schloss Glossen! 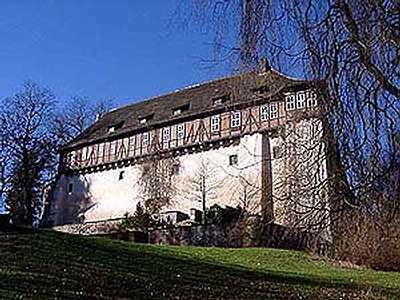 – Steffen DL5DXS will be active on the 17th of November 2015 from Schloss Glossen, WCA: DL-04447, COTA-DL: SAX-266. He plans to work as DL5DXS/P from 08:30 till 13:00 UTC on 40 and 20 meters CW/SSB. QSL via Home Call. 73 & 11! [tnx info DL5DXS]. 16/11/2015 – WCA & CISA pedition of YT2KID/P to Tsar Lazar Fortress! – On the 16th of November 2015 in honour of Day of St. George the Victorious, Dragan YT2KID/P will be active from Tsar Lazar Fortress in Krusevac, WCA: YU-00008. The team of annual organizers of activity on this day are UG3G – YT2KID – UT1ZZ – YU8DX. The first 10 hunters who got from activator serial number from 001-010 can obtain the E-Award ‘Povelja’ if will sent info about QSO by e-mail to: . 73 & 11! [tnx info YT2KID]. 14/11/2015 – WCA & RFA & RHO pedition of YO6EX/P to Biertan Fortified Church! – Vasile YO6EX will be active on the 14th and 15th of November 2015 from Biertan Fortified Church, WCA: YO-00425, RFA/RHO: SB-F08, WFF: YOFF-408, Sighisoara-Tarnava-Mare protected area zone. He plans to work as YO6EX/P by CW on 7030, 10124, 14040, 18084 KHz +- QRM. QSL via bureau or direct. 73 & 44 & 11! [tnx info YO6EX]. 14/11/2015 – WCA & DFCF pedition of F5NLX/P to Castle of Kerdurand! – Jean-Marie F5NLX will be active on the 14th of November 2015 from Castle of Kerdurand, WCA: F-06258, DFCF: 56-096 located in the west of France in Bretagne near the city of Lorient, department 56. He plans to work as F5NLX/P from 07:30 till 10:00 UTC on 7.090 – 7.100 SSB, after 10:00 UTC on 14.044 CW. QSL via Home Call, bureau or direct. 73 & 11! [tnx info F5NLX]. 13/11/2015 – WCA & COTA-DL pedition of DJ6OI/P to Schloss Nienover! – Thomas DJ6OI will be active on the 13th of November 2015 from Schloss Nienover, WCA: DL-00524, COTA-DL: NSB-079 located in WWFF: DLFF-113. He plans to work from 16:00 UTC on 20 and 40 meters CW/SSB as DJ6OI/P. QSL via bureau or direct. 73 & 11! [tnx info DJ6OI]. 12/11/2015 – Photoreport about pedition RV6AWZ/5 and RW6AON/5 to Fortress Kerch! – Photoreport about pedition of RV6AWZ/5 and RW6AON/5 to Fortress Kerch, WCA: UA-00612, COTA-RU: C-7105.